I wish him the best, but he should have stayed in school. Anyone know the update on Leron Black? He never played in Israel & was waived by Toronto in the NBA G league. Looks like he just signed with an Argentina team, but isnt playing. Any word on what has been going on with him? I just caught a few mins of a blazers game. Meyers is an absolute beast now. I wish he was that’s strong when he played here. I hope that fletch can transform Kofi into a beast. Total side note but I just caught a few mins of a blazers game. Meyers is an absolute beast now. I wish he was that’s strong when he played here. I hope that fletch can transform Kofi into a beast. Jabari Parker is struggling to stay in the NBA now. Imagine how much better his future would be if he came to ILL. He could have opened up ties for the rest of his life but he will end up getting flushed out of the NBA and into oblivion. Great to see Leonard gaining traction. Seems like a genuine good guy and hard worker. I can't believe he has been in the NBA for 6 1/2 years! plays 3 minutes less per game now than he did as a rookie. More importantly getting paid nearly 5x as much!!! He'll be in the league for a while, the man can shoot. Thanks for sharing. I used to yell at Weber (well, technically the TV) to stop having Leonard up top setting screens and get him down low. Maybe I owe Weber (or the TV) an apology. If you’re an NBA team looking for a pure scorer, Kendrick Nunn may be your guy. The Oakland University-product is averaging a team-leading 19.6 PPG, 4.1 RPG, 2.9 APG & 1.5 SPG on 45% shooting from the field and 31.5% shooting from beyond the arc. Nunn has given the Sea Dubs offense in times of desperate need and always seems to cook up new ways to get buckets as the season rolls on. He’s been excellent at turning turnovers into points for Santa Cruz this season and could be an interesting, lesser-known name in the NBA realm worthy of a call-up. In Chicago, they may be the Bulls. 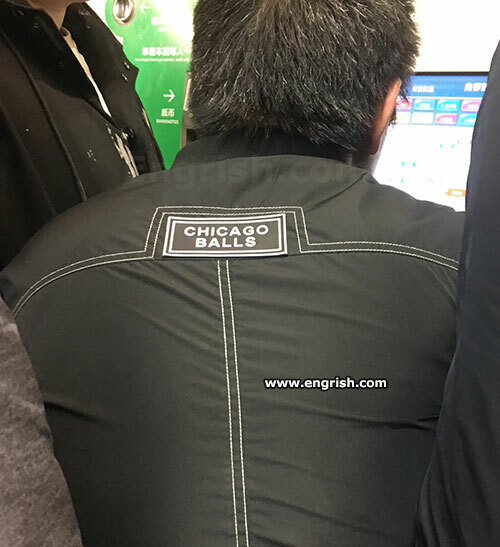 But in China, it's Chicago Balls. Which come to think of it, might be a good team name. Goodbye Alma Otter. Hello, Illinois Balls.